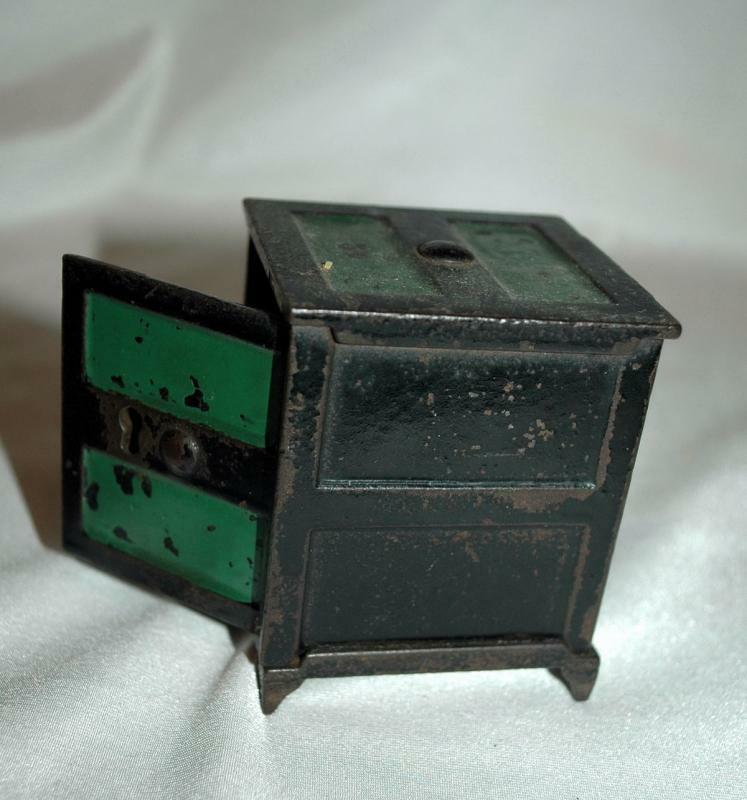 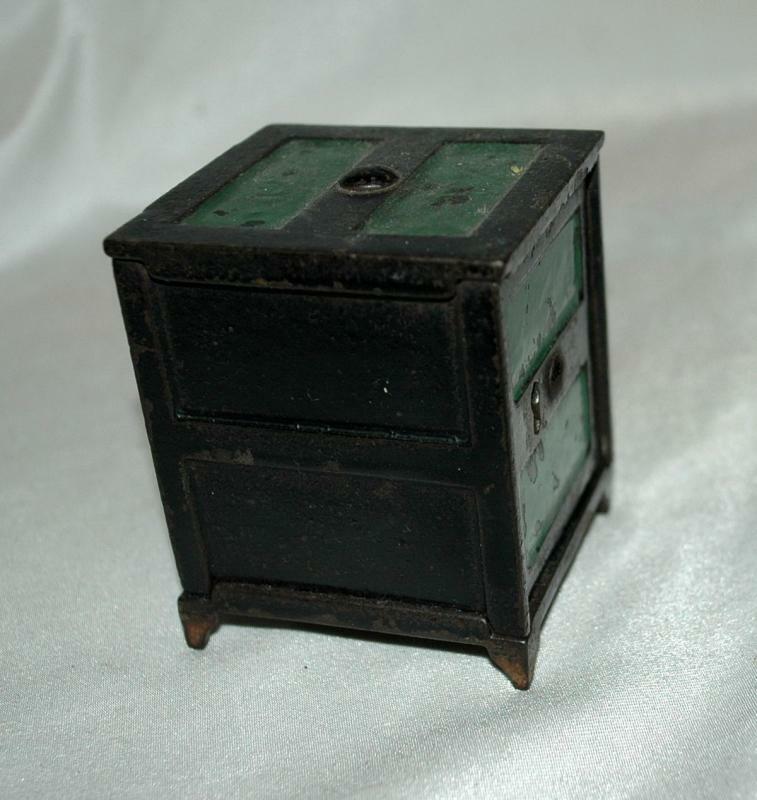 Cast iron safe bank - this particular safe bank is very collectible. 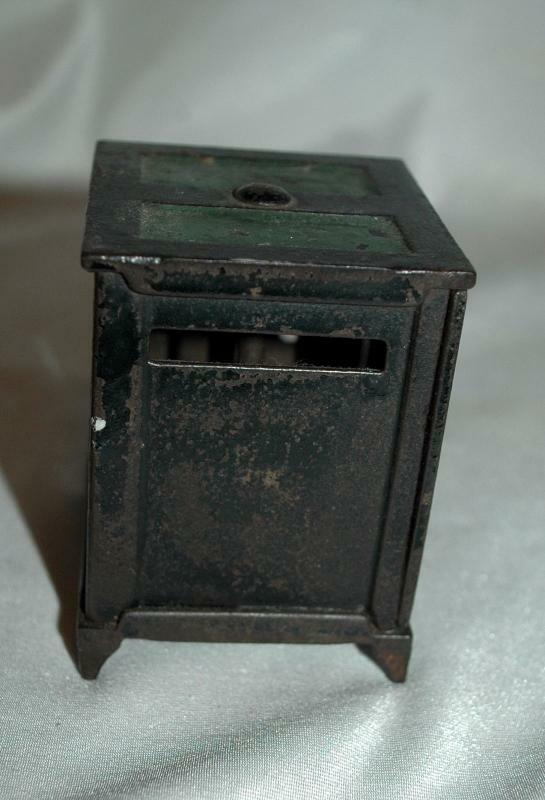 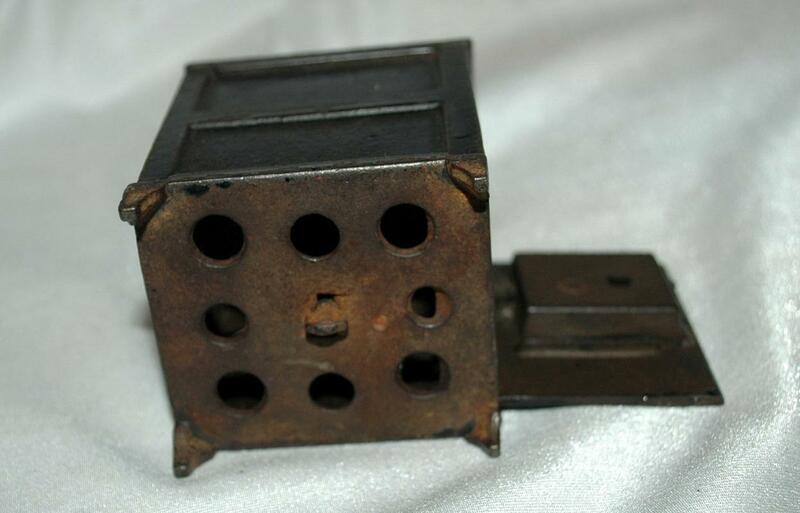 measrues 2" x 2 1/3" great vintage condition especially for the age of this cast iron safe/bank. 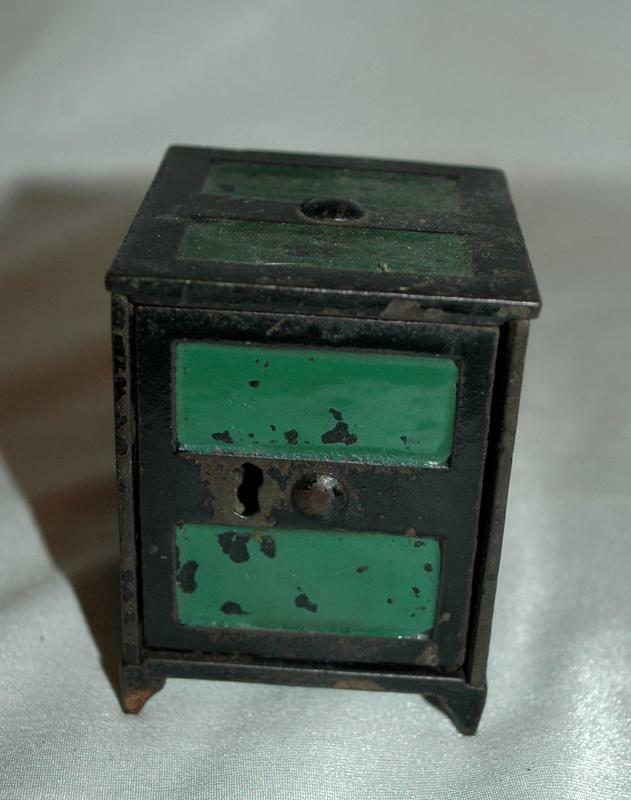 The key is missing. 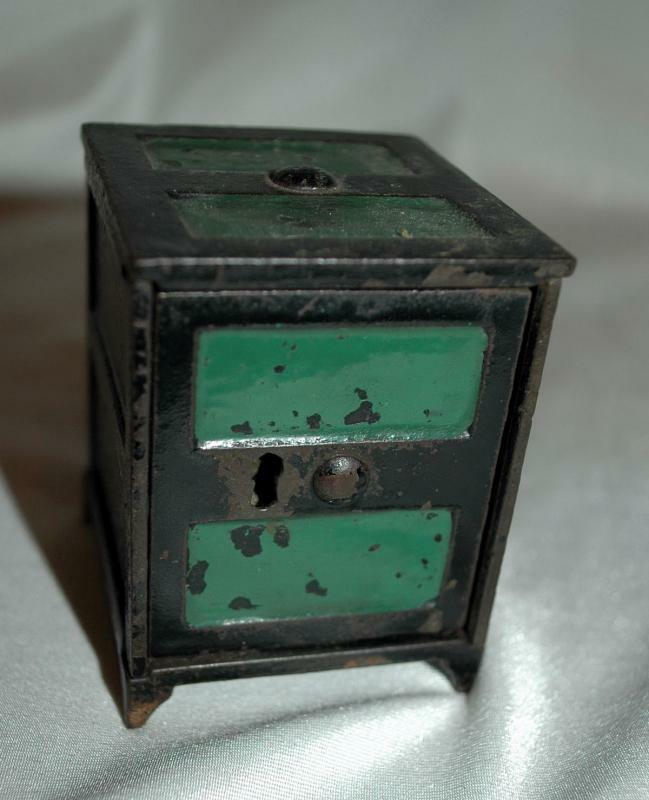 Items Similar To "Antique Cast Iron Safe Style Coin Bank Key Operated with Hinged ..."